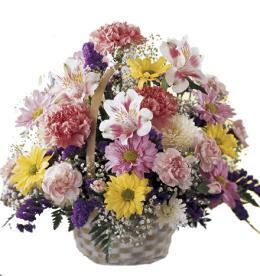 The radiant floral design includes roses, sunflowers, spray chrysanthemums, daisy spray chrysanthemums, solidago, huckleberry and oak leaves. 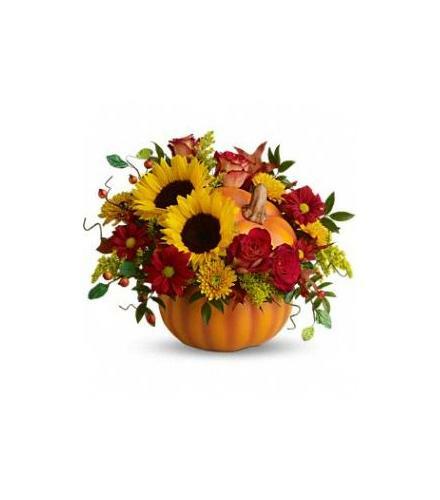 Popular Flower Arrangements - Pretty Pumpkin Fall Bouquet. 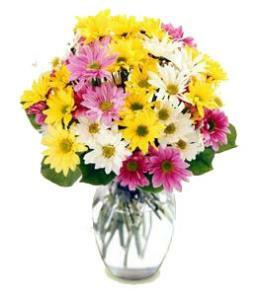 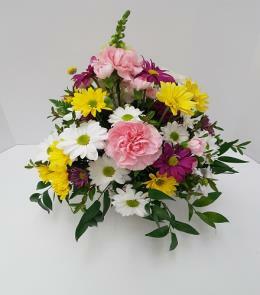 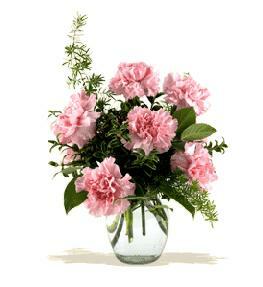 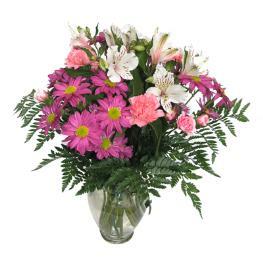 Arrangement Details: Substitution if required with be a fall arrangement made in a wicker basket or a vase. 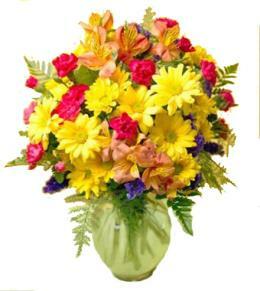 Some shops may use a real pumpkin.